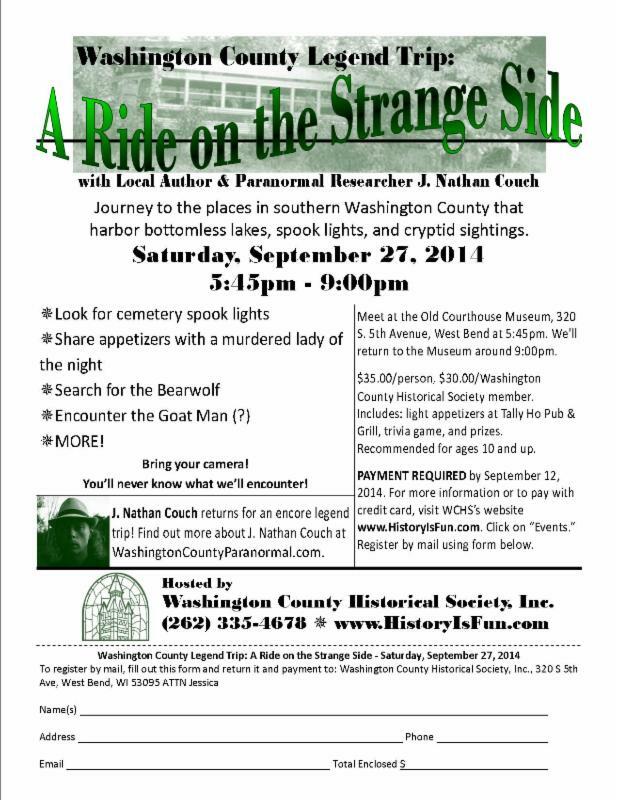 Take a ride on the strange side around Washington Co. this Fall with local author and paranormal investigator J. Nathan Couch. Back by popular demand, the Washington County Historical Society is once again offering a ghost tour to legendary haunted locations around the county, including West Bend, Slinger, Erin, Hubertus, Germantown, and Jackson, that are home to bottomless lakes, spook lights, cryptid sightings and other ghostly phenomenon. Get more info from the Washington County Historical Society right here. The trip will happen on Saturday, September 27th, but you have to registration no later than September 12th. 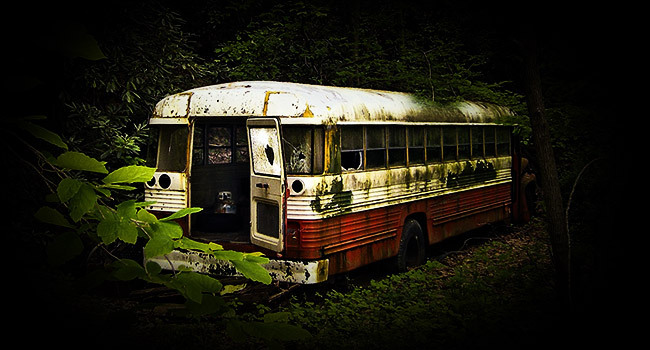 J. Nathan Couch is the author of Washington County Paranormal, a roadtrip guide to the weird and unexplained things that lurk in the dark corners of Washington County, Wisconsin. Check it out here.